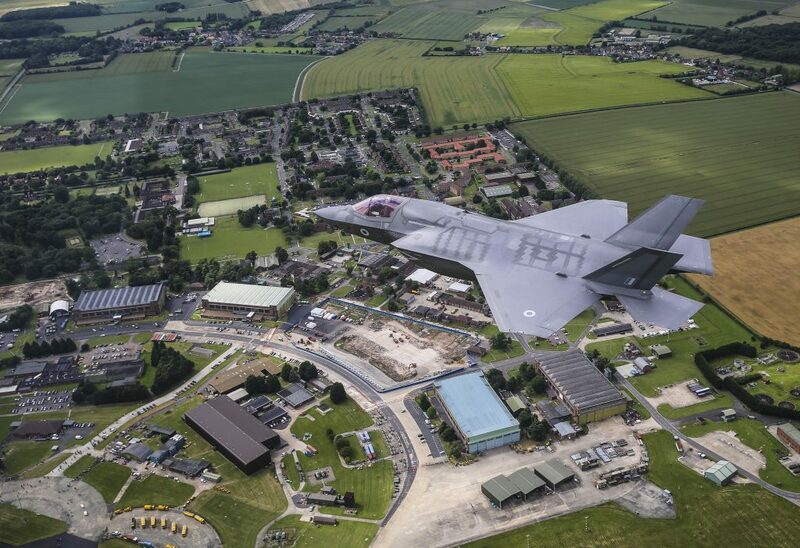 It’s been a while since my last blog on the progress of work we’re undertaking at RAF Marham to prepare it to be the Main Operating Base of the Royal Navy and RAF’s F-35 Lightning fleet, so this seems a good time for an update. The F-35 is a multi-role combat aircraft which will be an integral part of Defence operational capability in the coming decades, but it requires infrastructure to support the aircrew, provide space for maintenance, training and operational planning and allow the aircraft to operate. The project is very wide-ranging – if you think about it, we’re not just preparing for the arrival of the aircraft but also all of the people who will operate it, and that means there’s a lot of infrastructure required. The work is all at different stages, depending on the complexity or each element and its place in the programme. For example, the refurbishment of 12 Hardened Aircraft Shelters, hangars which protect aircraft from attack, is nearly complete. 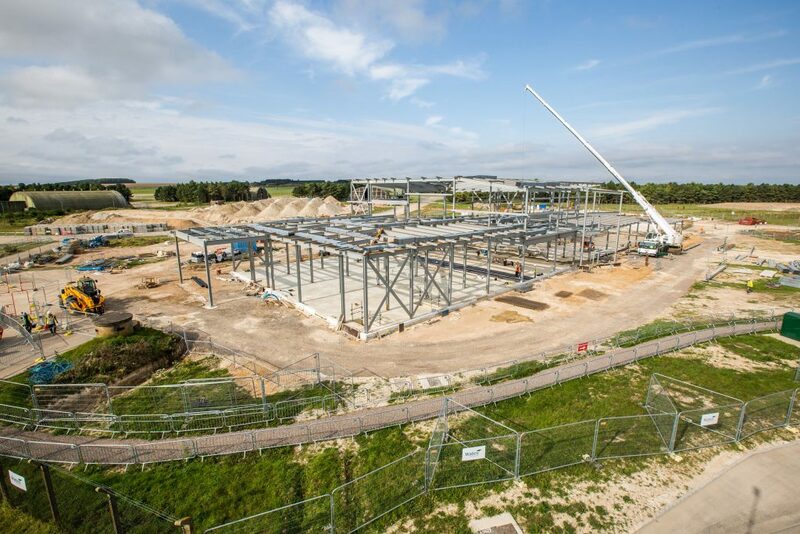 We’re nearing completion of the Quick Reaction Force building as well, which will further enhance the provision of security at RAF Marham, and are within sight of the finishing line on a major upgrade in utility provision (gas, power, water and drainage) across the Station. Slightly further away from completion is a new headquarters building for 617 Squadron. This famous squadron, historically known as the Dambusters, will be the first men and women who will be tasked with operating the F-35 Lightning for the RAF. The biggest area of work in the project is the resurfacing of the station’s Air Operating Surfaces, including both runways and all the Airfield Ground Lighting. 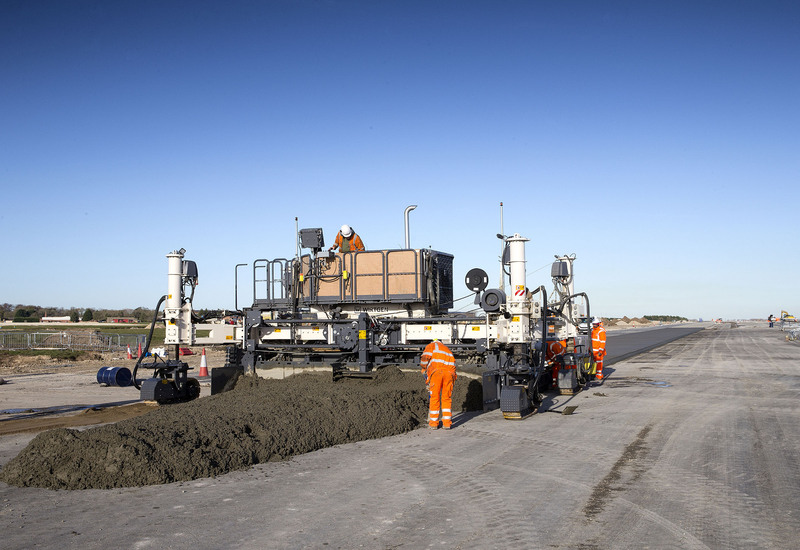 Work is progressing well and our contractors, a joint venture of Galliford Try and Lagan Construction (GTLC), have already completed the resurfacing of the runway intersection, which they managed in only three weeks. They are nearing completion on the first of the two runways. To make the work as efficient as possible, GTLC built two batching plants near the end of the runway, so it can prepare the specific asphalt and concrete they need and dispatch it immediately to the work area. We’ve also started work on three new vertical landing pads, a necessity for an aircraft which can land vertically. As well as these, we’re building an Operational Conversion Unit, which is a hangar, offices and technical facilities, and a Feeder and Pilot Conditioning Facility. To the uninitiated, that’s a gym for the pilots and a small canteen, so Lightning Force personnel can stay near the aircraft to eat rather than having to travel elsewhere on the Station. 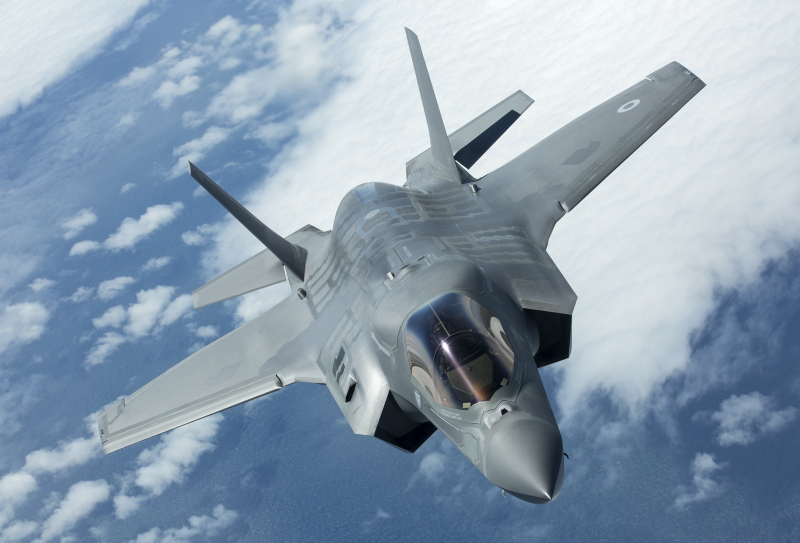 With the first F-35 Lightning aircraft expected to arrive at RAF Marham in the summer, we and our contractors are working hard. Not all of these buildings need to be complete by then, but obviously we want to continue to make good progress. This critical infrastructure will enable and enhance the UK’s 21st century military capability. All of this is being done at the same time as a parallel construction programme of roughly the same size is being completed in the Station by DE&S, and while RAF Marham continues to operate the Tornado fleet and all associated functions. It is much like adding extra cogs and springs to a clockwork watch while it continues to tick. 'Complex' isn’t an adequate word. We are not aware of any, I'm afraid. I was stationed at R.A.F. Marham in 1947 to 1949. and have tried to get photos of the Lincoln Bombers we worked on. It was The Central Bomber Establishment at the time, The call letters were DF-A to Df-P my favorite! I was an Lac Instrument "basher"a did air tests on the aircraft, Please send any photo of the time. my last three were 110 in case you want to put me on a "fizzer" Ha! Ha! Hi Erbest - we don't have an access to that kind of thing. Your best bet would be checking the photo archive of the Imperial War Museum - https://www.iwm.org.uk/collections/photographs. Good luck!